“Athletes are unhealthy, I’m just sayin’. Sure, on the outside we exercise enthusiasts and gym junkies may look like pristine spandex-clad Greek gods and goddesses dominating ironman events, CrossFit games, Spartan races, and ultramarathons, but on the inside, we’ve got depleted hormones, overstressed hearts and damaged gust from out physically demanding lifestyle” – writes Ben Greenfield in his book Beyond Training. 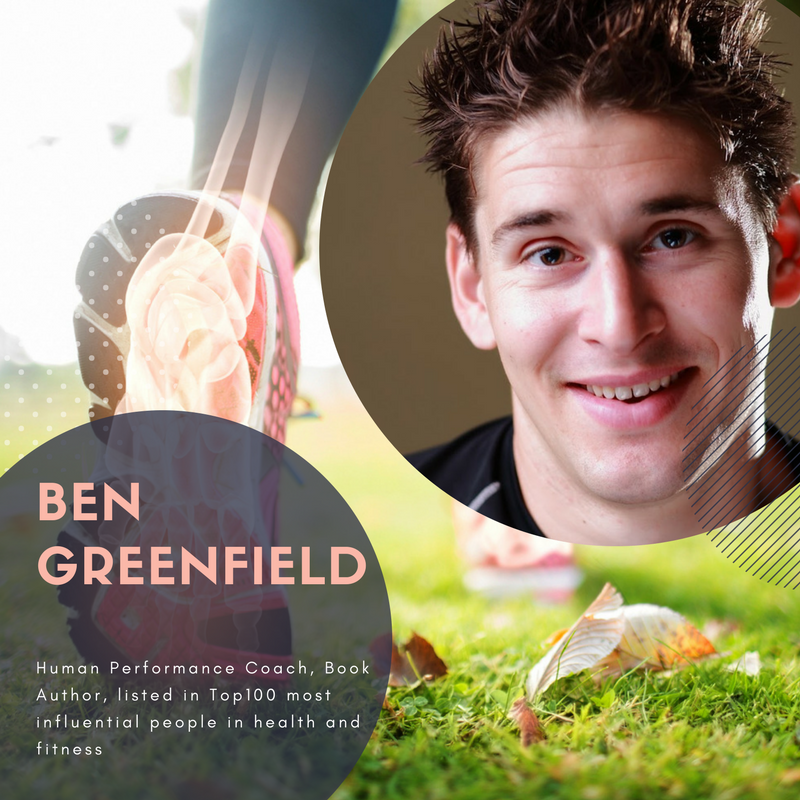 Ben Greenfield considers himself to be a Guinea pig when it comes to health, nutrition, sleep and fitness. He has competed as one of the top-ranked amateur triathletes in the world, completed over 120 races and 12 Ironman triathlons. In 2013 and 2014, Ben was named as one of the world’s top 100 most influential people in health and fitness, and by 2015, Ben has also coached some of the world’s top CEO’s, chefs, biohackers, and endurance and professional athletes from the UFC, the NHL, NBA, and beyond. Ben has always been passionate about fitness and endurance. In his research he has focused on maximising endurance feats without compromising on longevity, a task harder than what most people believe. In a 2012 article published in the journal of British Medical Association, James O’Keefe* mentioned, “Evidence is accumulating to indicate that exercise routines that are best for conferring cardiovascular (CV) health and longevity are not identical to the fitness regimes that are best for developing maximal endurance and peak CV fitness”. Ben Greenfield suggests that it’s just not professional athletes who need to be careful with these things, but that it’s also you and me. “It’s anybody who wants to check an impressive feat of physical endurance off his or her bucket list without kicking that bucket prematurely… Part of defying the side effects of hard exercises and endurance is likely due to genetics, but no matter what you’re born with, or your gender, there are things you can actively do, habits you can develop, lifestyle changes you can make, and yes, even biohackers that will contribute to a longer healthier and happier life” – writes Ben Greenfield in his book Beyond Training. To maintain cardiovascular fitness and VO2 max, do five 4-minute intense intervals once every two weeks. strength session per week and one 7-14 minute high-intensity bodyweight workout per week. At the Biohacker Summit, Ben Greenfield will share his insights into his fitness and biohacking journey.